Pirate Treasure Chest introduces the notorious pirate island and stronghold of Tortuga. 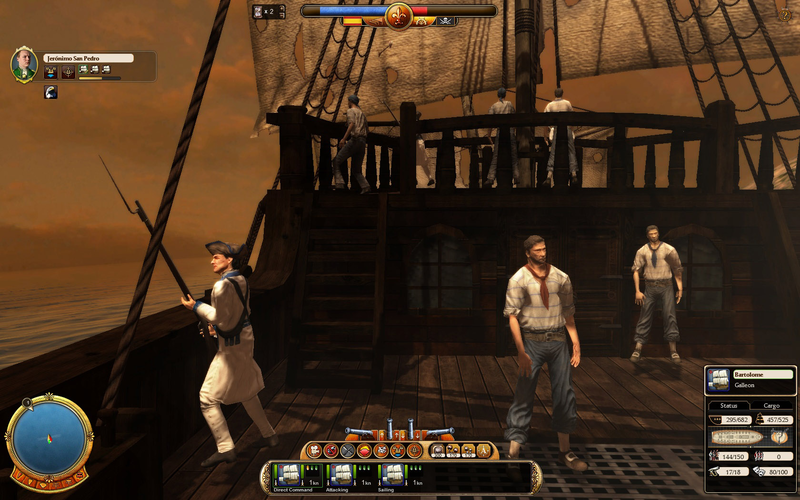 From Tortuga, players can procure an array of pirate treasures, maps and weapons. 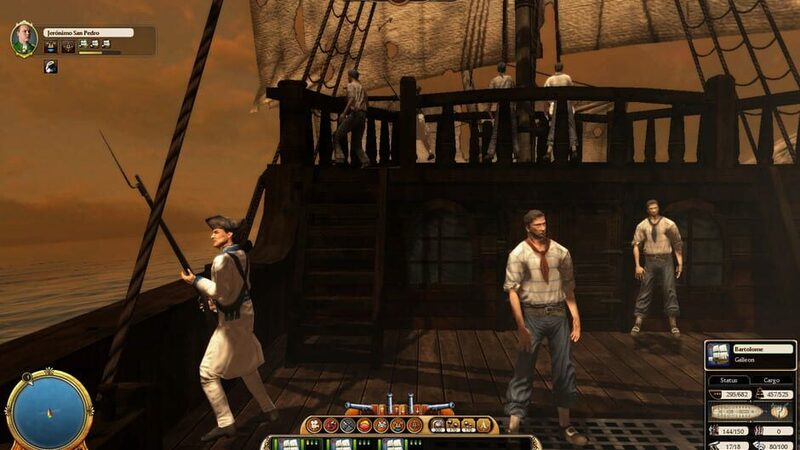 Tortuga also offers pirate ships for hire and the ability to purchase vessels pirates have commandeered from other nations. 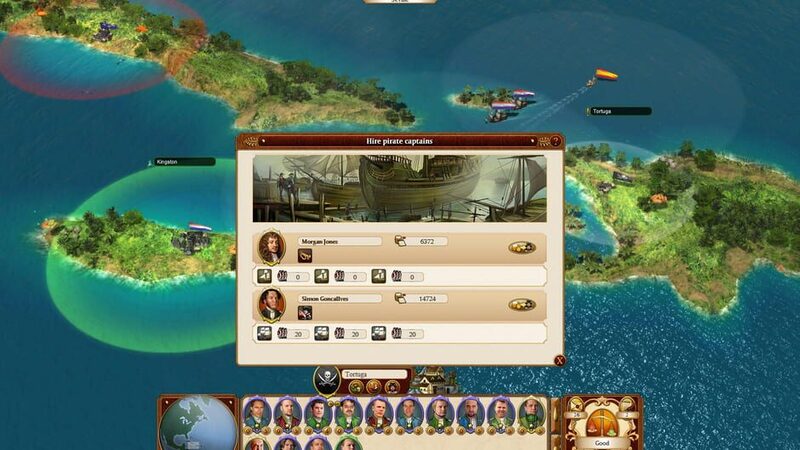 Hire pirate captains and their fleets and have them do your bidding, without facing the consequences. 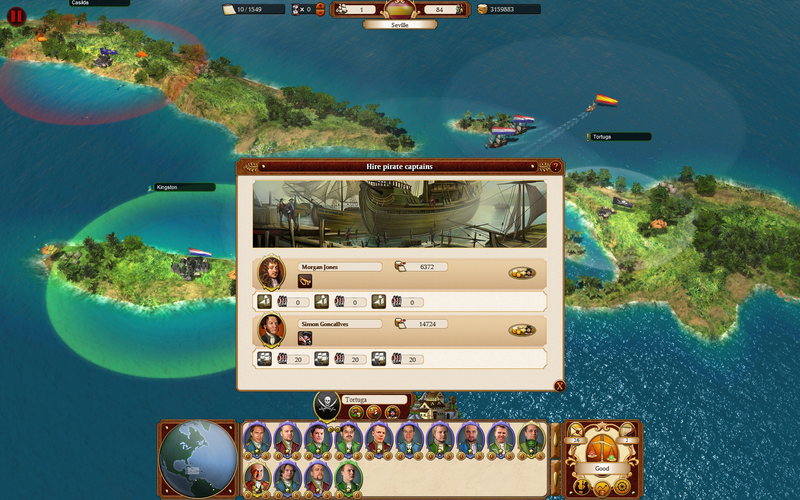 Players can alternatively choose to rid the sea of the pirate scourge and hunt them down while stealing their riches. No matter how you choose to play, the rewards are many: wealth, unique ships and treasure maps that lead to powerful artifacts. There are far more images available for Commander: Conquest of the Americas - Pirate Treasure Chest, but these are the ones we felt would be most useful to you. If you have specific requests, please do contact the developer!